Mark welcomes back Ivy Supersonic to the show. 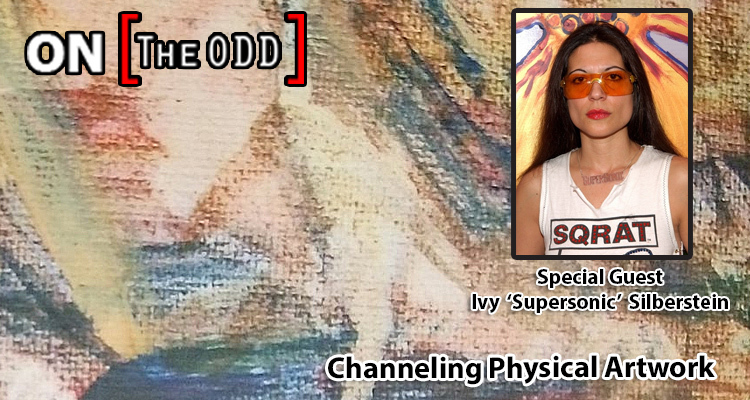 Ivy Supersonic is a force of nature. She is a woman on a mission: to inspire the people of the world into realizing their own potential for freedom and happiness. Literally the woman of many hats, the magical hatter, her multidimensional personality gives her the unique ability and insight to spread her positive message around the world via her “It’s All Good” Campaign, her magical feathered hats, her electrifying runway affairs featuring living works of art, her SQRAT cartoon character, and by whatever other means she can. Her creative energies are explosive and visionary. Ivy recently received the trademark for Sqrat, a cartoon character Fox has used in their Ice Age movies and shorts, and that has been the center of merchandising, marketing, and other products for the last 16 years. Ice Age/Scrat is the biggest international cartoon in the history of the world.